computer with a MIDI interface. These commands are described in detail on the following pages. 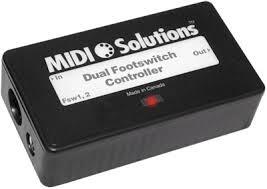 unit can then be inserted wherever it is required in your MIDI setup.